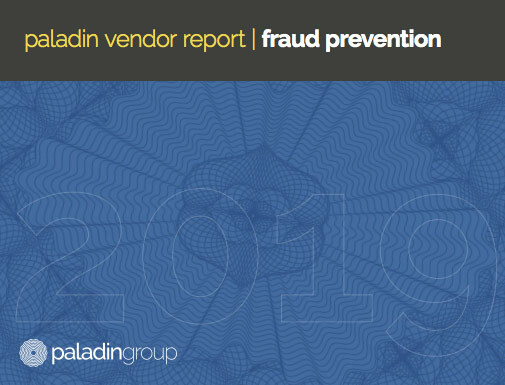 The 2019 Paladin Vendor Report offers an unprecedented view into today's fraud prevention platforms and solutions and helps merchants navigate the ever-expanding number of solution providers and services available to them. Paladin spoke with over 40 vendors who offer risk-mitigation products to merchants in the Card Not Present (CNP) and omni-channel environments — then gathered, examined, and compiled the information for each participating vendor. Digital Identity Risk, which uses a wide range of device-based intelligence to detect fraud by comparing the applicant's PII to device-based observations. Inbound Authentication, which leverages TRUSTID technology to improve operational efficiency while mitigating fraud by accurately identifying and authenticating inbound callers.